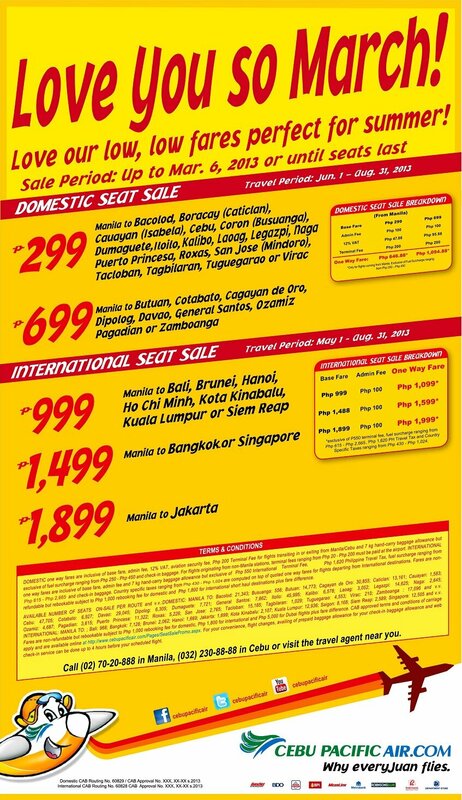 Low-cost airline Cebu Pacific announces a new seat sale promo offering as low as 299 Pesos domestic air fare and 999 international base fare. 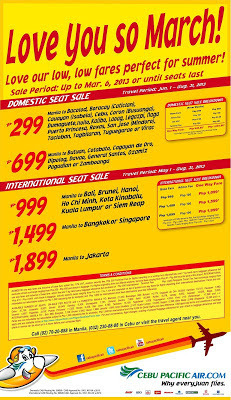 The travel period for the domestic sale is from June 1 to August 31, 2013, while international travel period is from May 1 to August 31, 2013. You can purchase your ticket at www.cebupacificair.com or at their ticketing offices. Booking discounted seats can be done until March 6 or until seats last, whichever comes first.